Thank you and congratulations to everyone who baked, cooked, iced, decorated, donated, sold, merchandised and made endless cups of tea and coffee at Sunday’s Tiffin Junior Tournament. Special thanks to SJ for organising everything and to Philiippa for amazing coffee and expertise. 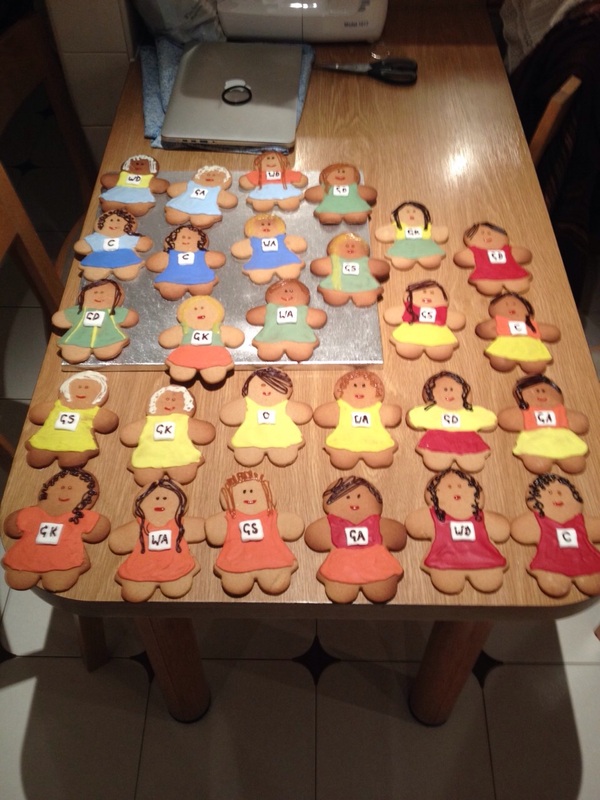 To celebrate our success, here’s a picture of Kerry’s AMAZING sell-out gingerbread netballers. Enjoy! Tiffin – 2014 Surrey Rally Champions! Two super squads from Tiffin took to the very sunny Nonsuch School courts on Saturday to compete in the annual start of season Surrey Rally. 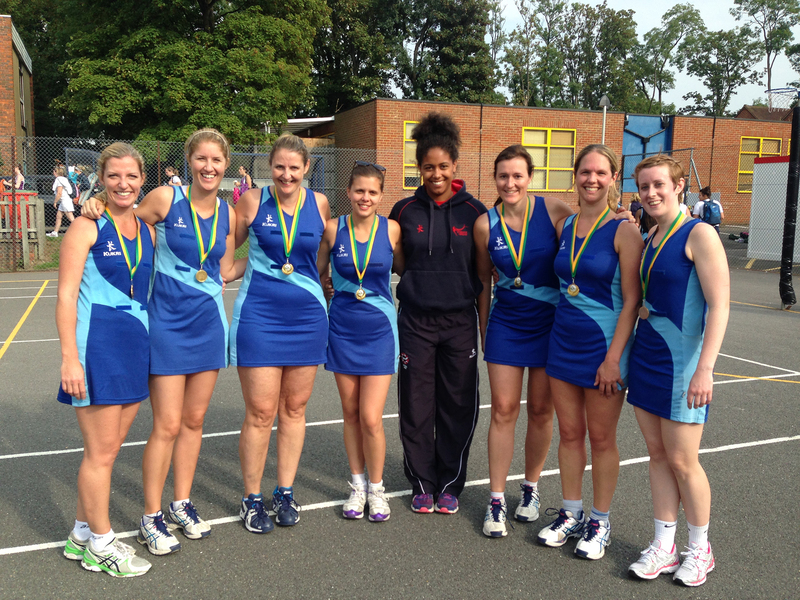 Over four hours of netball were played between us with lots of new combinations being tested. Big congratulations to our super Tiffin A team who were crowned overall champions, winning both glory and some very shiny medals too! The Tiffin B squad had a great day getting to know each other – big shout out to Philippa for bringing the newly coined ‘Official Tiffin Gazebo’ – and ended up mid-table in the plate competition. After a challenging morning with three games ending in draws, we upped our game in the afternoon and won ourselves some well-deserved victories. 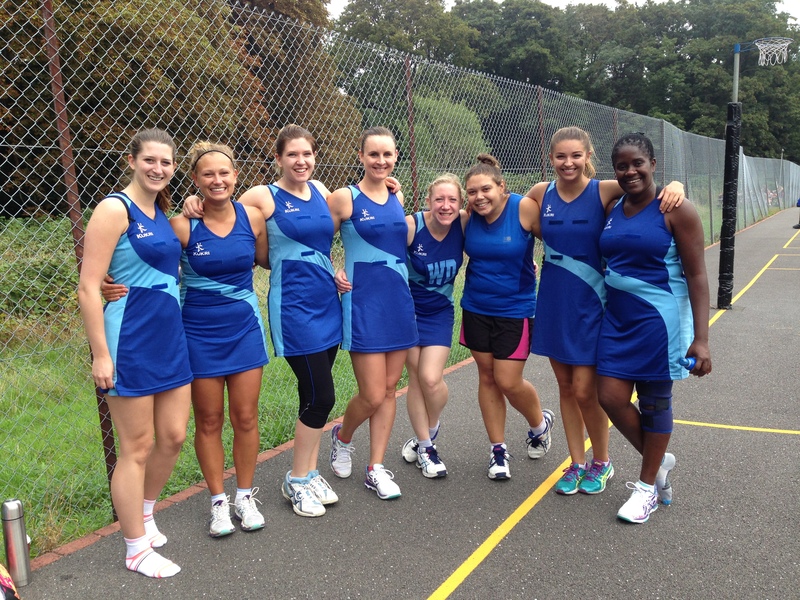 Here’s to a fantastic season of netball and good luck to everyone playing in the first matches this weekend! 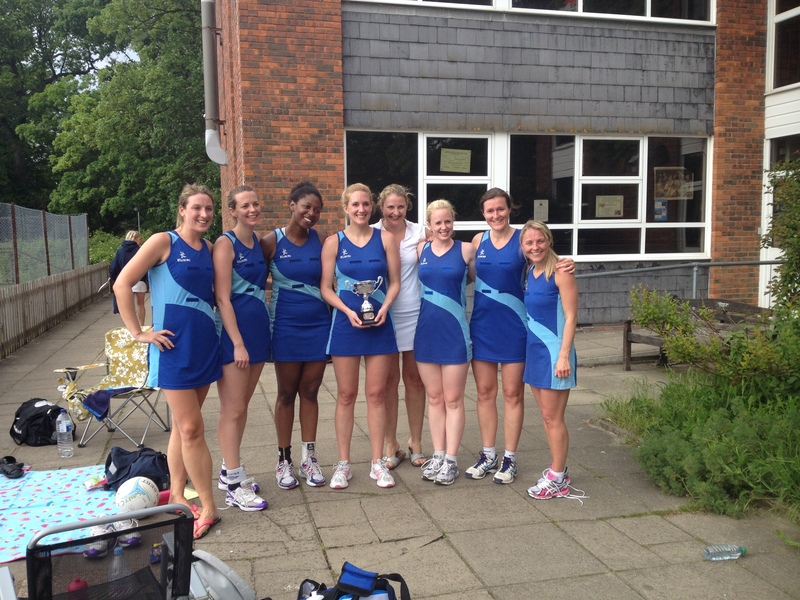 A super team of 7 took to the court in the Fairlands Versatility Rally 2014. With 4 players whose first position is either GD or GK – we had super height but were lacking in the all-important department – shooting, with only one first position GA/GS in the lineup. Lynda donned the Whites for us and offered words of encouragement like, “just as long as you have people either side of Claire who can shoot, it can’t be toooo bad”. Jo furrowed her brow as she sought the most strategic first line up to ensure success throughout the day (and did a brilliant job of it). SJ was all smiles as she took to the court – and that smile didn’t leave her face from start to finish – it’s great to have you back SJ! Sere didn’t appreciate the ribbing for her attacking style and showed everyone just what a brilliant GA/GS she can be. Nicky got super excited when she got to play out of position, which to be fair for her is really only C and WA… Morgan played like a champion in her last day in the Tiffin Blue before she moves home to her native Australia (we miss you already Morgs and you haven’t left yet!). Miranda showed us why she was Tiffin Player of the Year and stole the show in every position she played in. With 100% wins in the pools we were sure we’d come up against Cobham or Gems in the Final. After a nail-biter in their pool match the two teams knocked each other out of the race seeing Fairland’s Over 35s run through the middle to meet us on the centre court! The first few bibs came out ok, with Smiley SJ in GA, and usual suspects in the defence end… but when Claire was handed the GS bib the groans from Tiffin were audible on the football pitch… Manning up, Claire decided to play a support role/chief rebounder putting a ton of pressure on GA SJ to get the ball in the net. The balls were coming down thick and fast from the defence end and SJ smiled her way through the pressure and shot for success.